MaxiBooking provides software solutions for Airbnb hosts, vacation rental managers, and hotels. 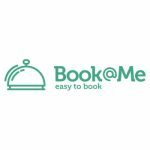 Designed with hoteliers for hoteliers, MaxiBooking SMART Service includes ready-made personal website with booking button, channel manager, interactive calendar, and property management system, all accessible for use within minutes upon simple online registration. 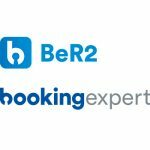 MaxiBooking solutions help hoteliers generate more bookings, optimize reservations and rates management, and automate booking processes. MaxiBooking is a cloud-based platform for property management.